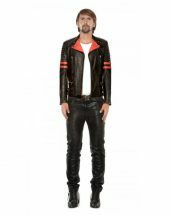 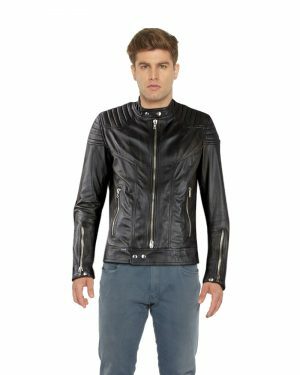 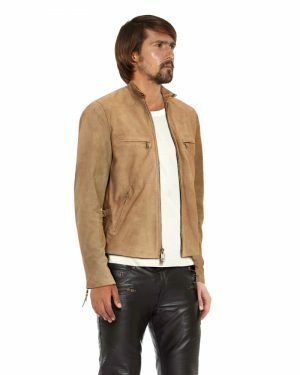 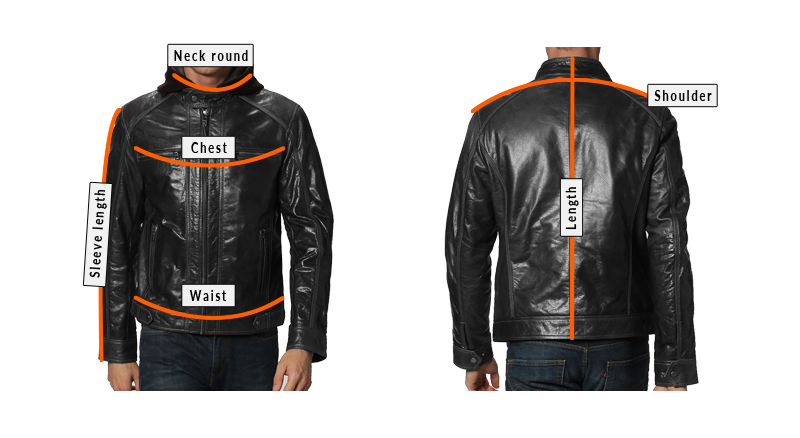 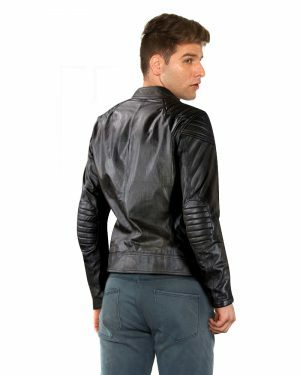 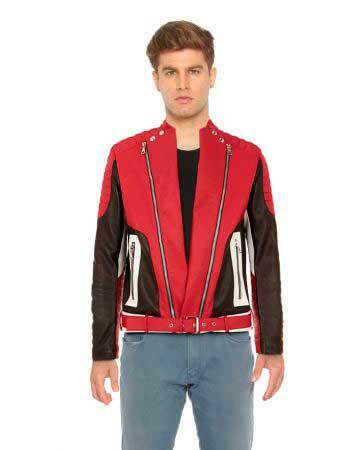 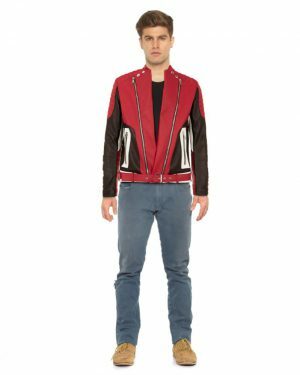 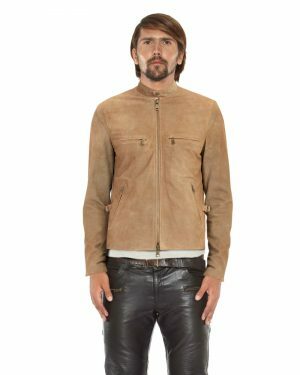 This studded leather jacket for men will make you centre of attraction wherever you step in. 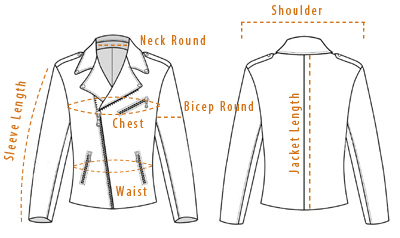 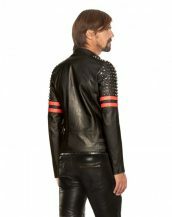 Get an edgy look, as you wear this jacket with studded embellishments. 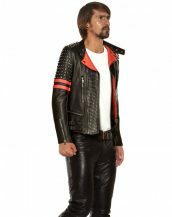 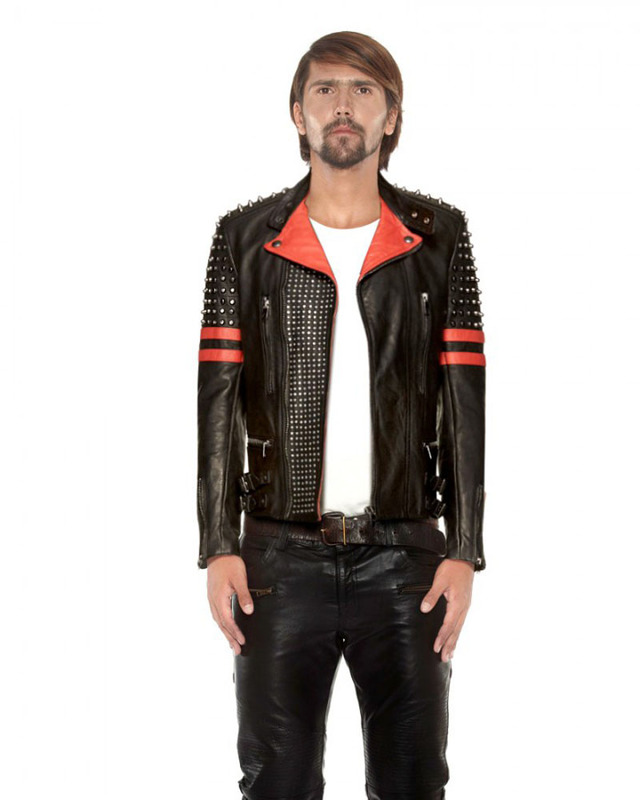 Your options are endless in this studded leather biker jacket featuring off-center front zip closure and zipped cuffs.